some could say that I’m a flower snob. is there any other way to be? fresh flowers bring color and life and it’s reasonable to have flowers every week around your house. right now I’ve got huge sunflowers but my favorite is the peony. this isn’t a shocker because they’re pretty popular. 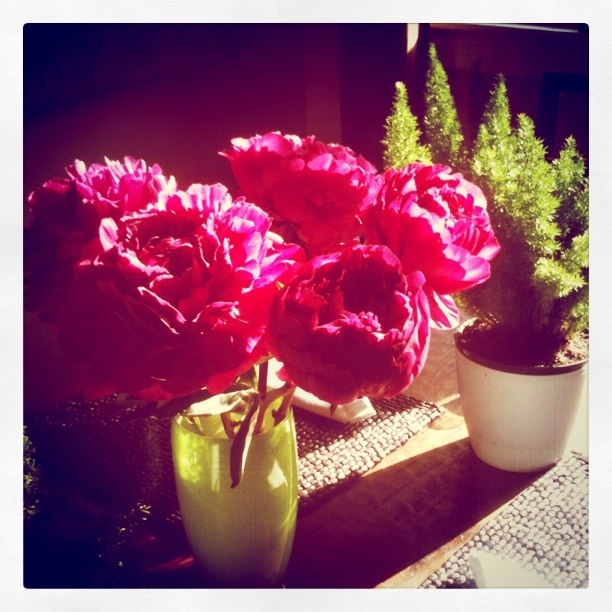 it’s hard to get peonies because they are only available 2x a year. I think – at least in Texas. in doing in-depth research for this blog post, I’ve discovered that peonies are often used in tattoos. i love walking into wf (best place to get flowers in Dallas believe it or not – everyday flowers, I’m referring to here) and seeing those little bundles of joy. they are only around for a week or two and only twice a year. there, i just justified the expense. it ranks up there in excitement for me with seeing a new magazine sitting in the mail pile or buying new coffee mugs from Anthropologie. it’s the simple things in life i appreciate. 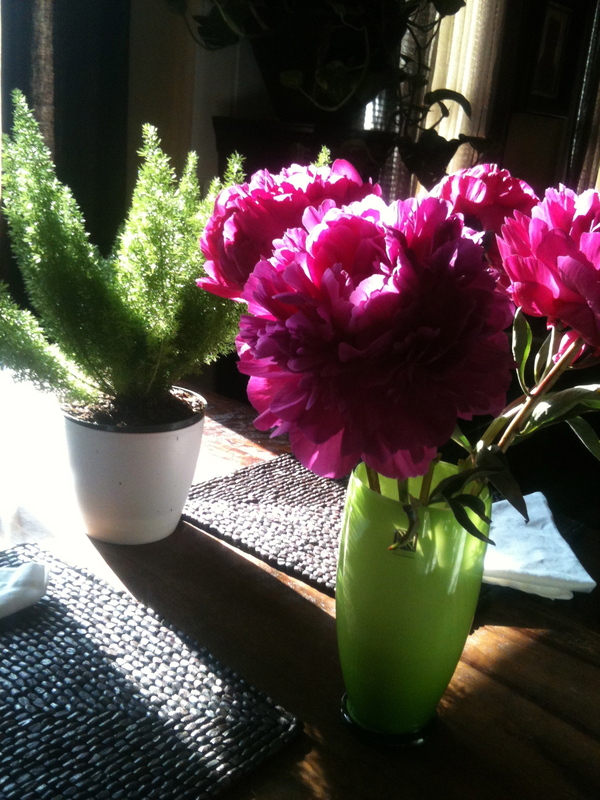 these peonies are the real thing, right from my kitchen table. 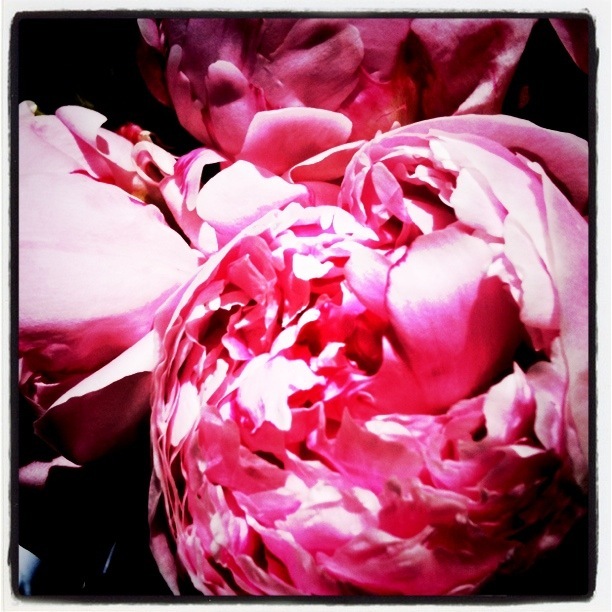 kinda makes you want to listen to this french mix i made here, sip a nice big cup of latte’ and smell the peonies.